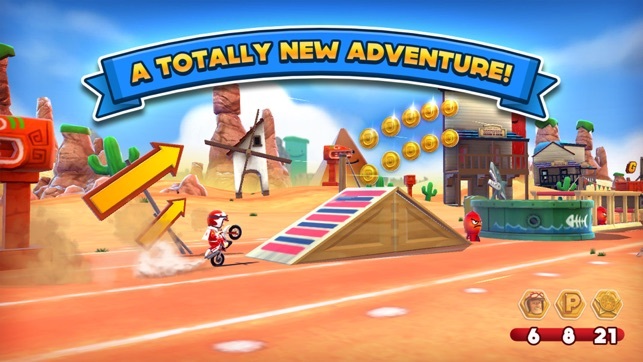 Take the Most Determined Stuntman from zero to hero across TWO action-packed and best-selling games - in the JOE DANGER ACTION PACK! 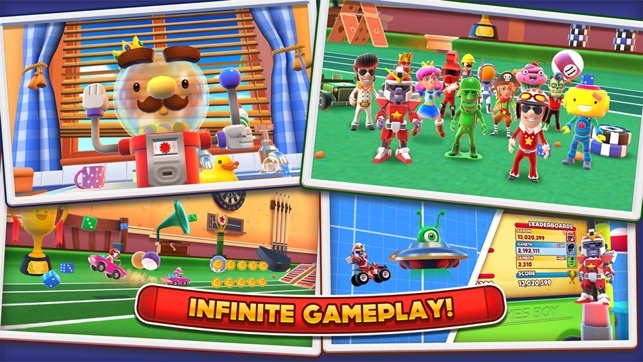 Race, ride and defy death across hundreds of levels in JOE DANGER TOUCH and JOE DANGER INFINITY! Jump buses, battle attack helicopters, leap tanks full of sharks and reclaim your title of Master of Disaster! 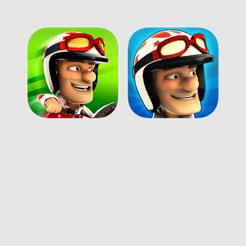 Swipe Joe to pop a wheelie and boost, hold to crouch, tap to jump! SUPER BEAUTIFUL! Eye-popping 60FPS 3D graphics! SUPER FUN! 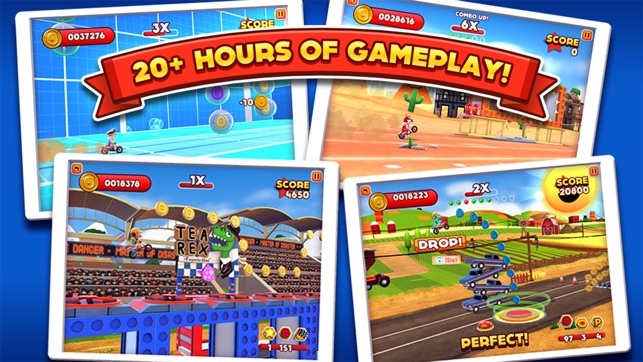 Critically acclaimed gameplay in your hands! SUPER SMOOTH! Intuitive and innovative touch controls! 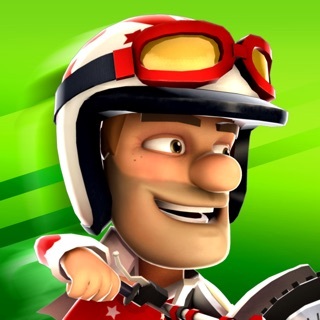 Play the first iOS Joe Danger, built from the ground up for touch screens! Reclaim Joe’s crown as he races back into the limelight! 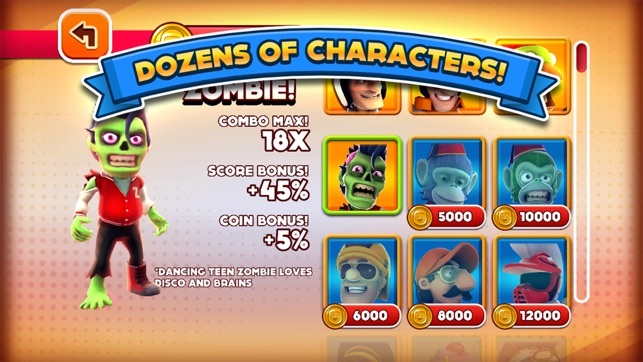 - Discover 25+ playable characters, from Chimpanzombie to Mr Spinkleman! 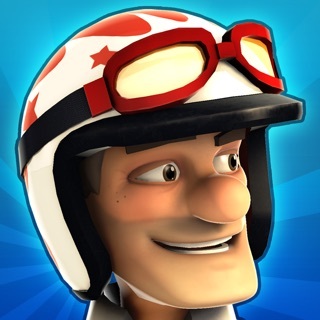 - Win a Pro Medal by winning each medal on a level! Can you collect them all? 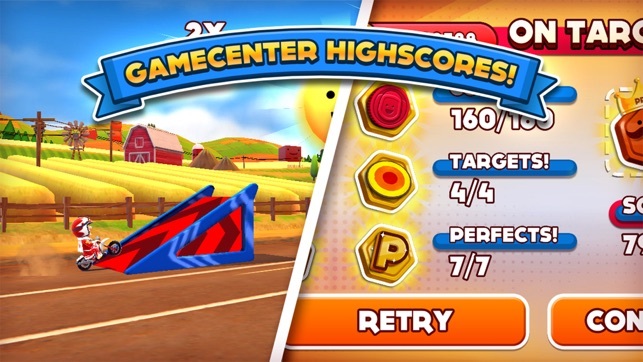 - Compete with your friends on Game Center leaderboards! - Beat a new level each day in the Daily Challenge mode! 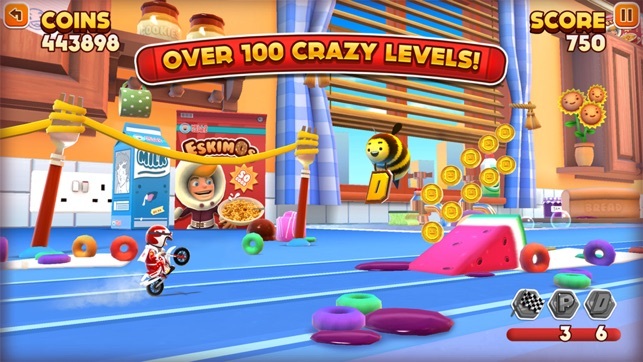 Race through a huge new adventure in a micro world! 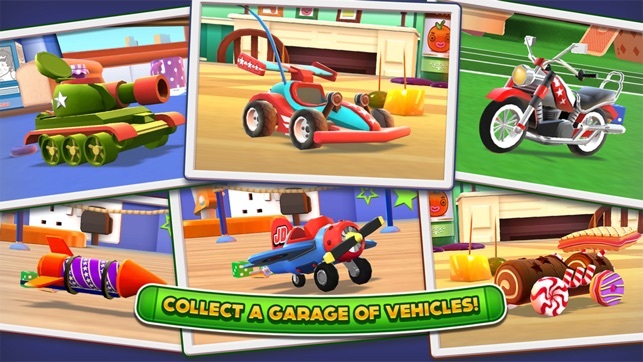 King Gumball the magic gumball machine has brought Joe’s toys to life and they’re racing across his kitchen worktops, dining table and games room! 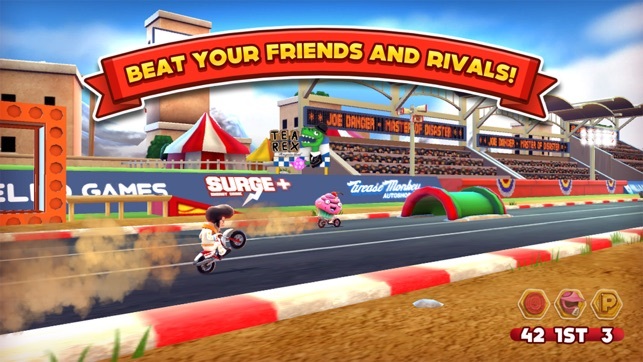 - Exchange Joe’s trusty bike for dozens of brand-new game-changing vehicles! 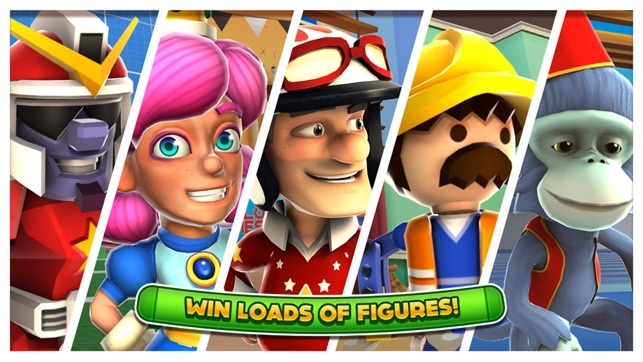 - Collect 24 playable characters, from Joebot Micro to The King! 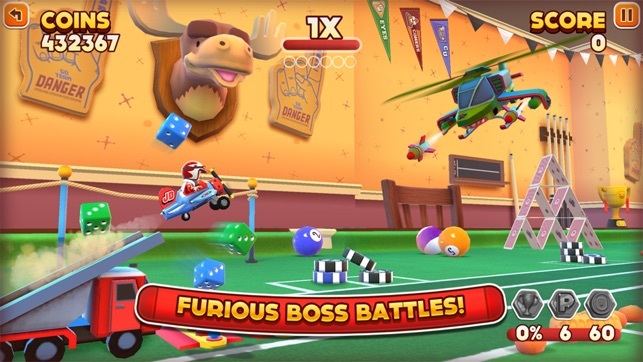 - Take down bosses, from an alien invader to an attack helicopter!